Many people believe that marathons are far to long to benefit human health. It is true that marathons lead to an extended elevation of heart rate, and they are quite stressful on the body, but that does not mean that they are going to kill you. Many people each year do pass away as a result of what appears to be the ill effect of running a marathon. What people do not see is that a very high percentage of these people already have heart disease and/or chronic heart problems. When these people go out and run a marathon the strain that is put on there heart is far greater than the strain put on a healthy heart. If you want to run a marathon the most important thing is to make sure that you have prepared sufficiently for running that distance. 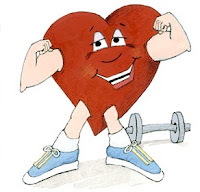 If you go into a marathon without training the risks are going to be far greater, but with the proper training the risk of a heart attack is about 1 in 126,000; quite a small risk when compared to the risk of dying in a car accident (1 in 6,535). Stretching before a run is something that almost all runners do. It’s a pre-run ritual that has been done for so long that it is accepted to be proper. In actuality stretching before a run causes your muscle fibers to elongate and destabilize. When you stretch before your muscles have warmed up you are also at risk of having them “snap back” and become stiffer than when you started stretching. When muscles are cold you can also tear them far easier than when they have been warmed up through exercise. Before going out for a run the best way to prepare your muscles is to lightly jog while doing things like high knees or long strides. One of the more common phrases heard at the gym is “if I stop exercising, my muscles are going to turn into fat.” This seems like it could be true because people who do not exercise a lot may have a higher body fat percentage compared to exercise enthusiasts. But, people with high body fat did not get that way because their body turned muscles into fat. The reason is that when the body is working out amino acids are being transferred from the bloodstream into muscles. These amino acids are the building blocks for proteins which increase muscle size. When you stop exercising the muscles do not need to take up as many amino acids, the amino acids are transferred to the liver where they are turned into fat for storage. Muscles Won't Turn into Fat - Gabe Mirkin, M.D. The covers of exercise magazines and books almost always have someone who has nearly zero body fat and they are probably in there mid twenties. Exercise is thought to be only for the young and fit, people who can run a mile under seven minutes, do 50 pushups and then bike 25 miles. Some people are capable of doing this, but for the most part exercise does not have to be like that, and it is for almost anyone. 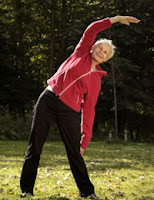 It has recently been found that exercise is correlated to the health and well-being of people over the age of 70. When 213 volunteers, aged 70 to 89 began exercising they saw great improvements in there functionality. The benefits of exercise are great even for people that you would not expect to see at the local gym. When you a re an elite athlete this is going to be the case, but for the masses this is not the most beneficial form of exercise. It has been shown that for someone who is not physically fit, going for a thirty minute walk can lead to immense health benefits. You do not need to go run sprints, and if you do this you are going to burn yourself out putting you back right where you started. When working out a general rule is that you should always be able to hold a conversation, if you are breathing too hard to do this then you are probably working to hard.